While this isn’t the most efficent re-animation spell Wizards has ever made, it’s an interesting one. Demonstrating Black’s love of sacrificing stuff, it’s this cost of the exchange that’s the real key here. You, as the Black mage, say, “Reanimate that guy and I don’t care about the cost.” The cost being the “life” of the cleric. Classic Black. 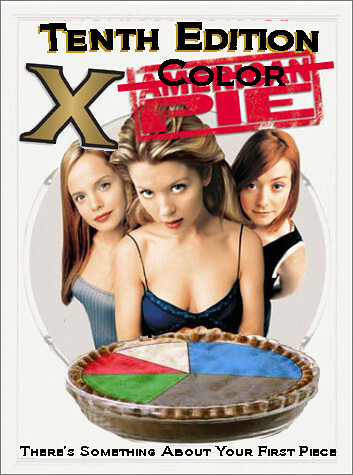 Beacon of Unrest for classic reanimaion, especially in a multiplayer game. 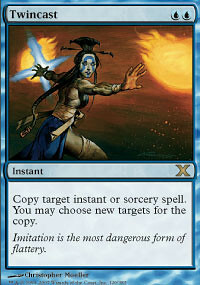 Besides being Fork in the correct color, this makes sense as a Blue card. As the color of knowledge, copying another mage’s spell to use against themselves, or doubling your own is a very powerful ability. “You’re going to do 10 damage to me, I guess I’ll do 10 damage to you.” While deflecting spells have also moved to Red (as seen as an emotional/chaotic state), this is seen as intellectual superiority, what Blue is known for. Ambassador Laquatus for showing blue love of forgetting (Milling) information. 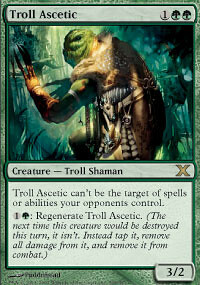 Troll Ascetic can’t be the target of spells or abilities your opponents control. Clearly a powerhouse in constructed and limited, this is where Green should be going for creatures. As the creature color, Green gets this semi-shroud, regenerating Monster that’s the biggest threat in it’s color since Wild Mongrel. For the first time, a mixture of two powerful Green abilities collided on one card to create it a powerhouse. 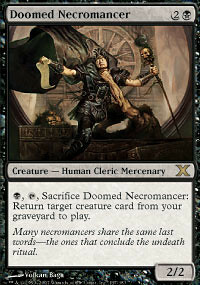 As an additional cost to play Soulblast, sacrifice all creatures you control. 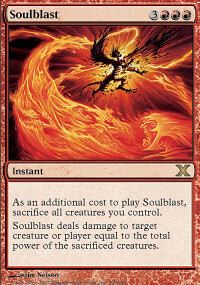 Again, showcasing Red’s horrible time and resource management, Soulblast is a final last resort to kill his/her opponent. “Why wait for tomorrow, when you can do it today,” Red believes. Damn the consequences, damn them to hell! Scoria Wurm for showing off Red’s randomness. Shut almost made it. Almost. Creatures can’t attack you unless their controller pays 2 for each creature attacking you. While I prefer this on an enchantment because it feels more White, this is still White’s taxation at its best. Making someone pay mana to attack you is a great way to slow down your opponent(s). While it also has flying, this tax on a stick is a great way to show new players that not every control card is a “counterspell” or a “blow up the world” spell. Mobilization for showing White’s commitment to the military, organization and structure. Made by players, this is one of the most powerful and versatile artifacts ever. It’s played in every format it’s legal in while not being banned or restricted. It was put up in a vote to decide if it was to be in Xth, so Wizards doesn’t think it’s too powerful. 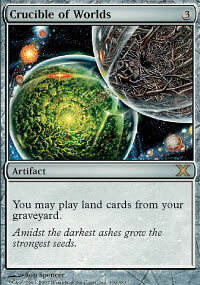 Thanks to lands being more and more unique as sets are being built, it seems that there’s no end in uses for this card. And that’s what a good artifact should do. Thanks, players. Citanul Flute for demonstrating that artifacts can do fun things. Well, that’s a look at Xth edition. Hope I you learned some things. I know I did. Join me Tuesday when I take a look at MaRo’s State of Magic address. Is he right/wrong? Let’s find out. Remember to add me to any RSS feeds you have.